After being spun out late in the NASCAR Xfinity Series race on Saturday, Austin Dillon retaliated against a driver under caution. The scene felt odd, but it wasn’t the wreck. It was the steaming awkwardness of the broadcast, because the guy commentating called Dillon a spoon-fed rich kid when they were teammates. The person commentating on the wreck was Kevin Harvick, a former Richard Childress Racing driver in the Monster Energy NASCAR Cup Series. Harvick and Austin Dillon’s brother, Ty Dillon, got into it during a NASCAR Camping World Truck Series race in Martinsville back in 2013. 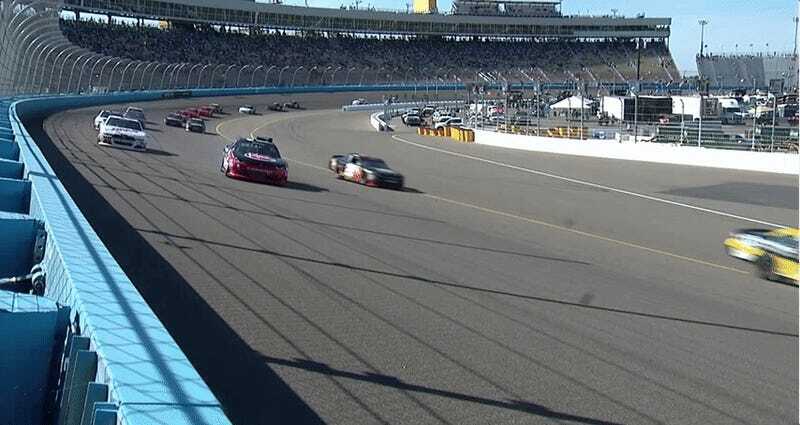 Harvick, now a Stewart-Haas Racing driver, was acting as a guest commentator in the broadcast booth for the Phoenix International Raceway Xfinity race on Saturday when Austin Dillon intentionally wrecked Cole Custer under caution—something that people often get in a lot of trouble for in the higher levels of NASCAR. It was unexpected, considering that Austin Dillon isn’t racing for points in the Xfinity Series and Custer is. Harvick was a bit nicer to the Dillon family this time around, simply saying that a retaliation under caution is “stuff that you don’t really want to see” and that it was something you would see in a local race rather than the Xfinity Series. Look, we at Jalopnik aren’t trying to stir stuff up (but let’s be honest, Fox Sports is stirring things up like their lives depend on it after that fight between Joey Logano and Kyle Busch). But the thing is, in November, Austin Dillon was still holding this grudge from nearly four years ago—and he wasn’t even the one in the original scuffle with Harvick! Plus, this stuff is just plain funny sometimes. 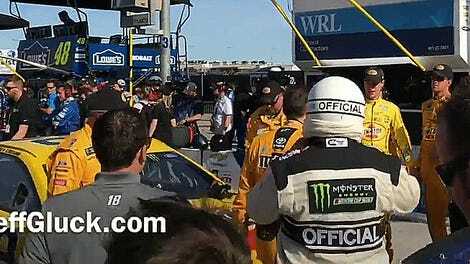 NASCAR feuds are the best, especially when they’re on track to last for another decade at least. Happy NASCAR season!